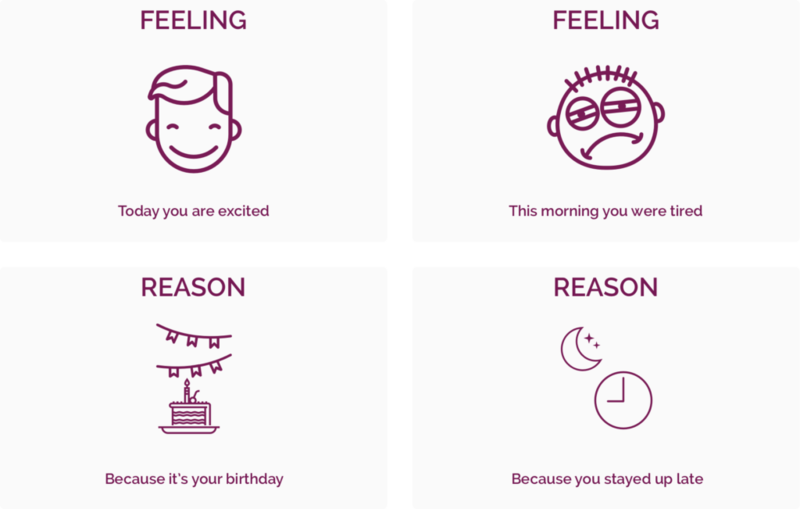 Having a vocabulary of emotions whether it be by vocalising or using pictures/symbols, can help your child to manage their feelings rather than you having to manage their behaviour. We often only teach the basic emotions that we hope can keep the situation manageable eg happy, sad, tired, angry, thirsty hungry. There is so much more language that we can teach our children and teenagers to explain and manage how they are feeling eg. bored, brave, calm, cheerful, confused, curious, disappointed, embarrassed, excited, fantastic, fearful, frustrated, ignored, impatient, important, jealous, lonely, loving, overwhelmed, peaceful, proud, shy, safe, surprised, tense.